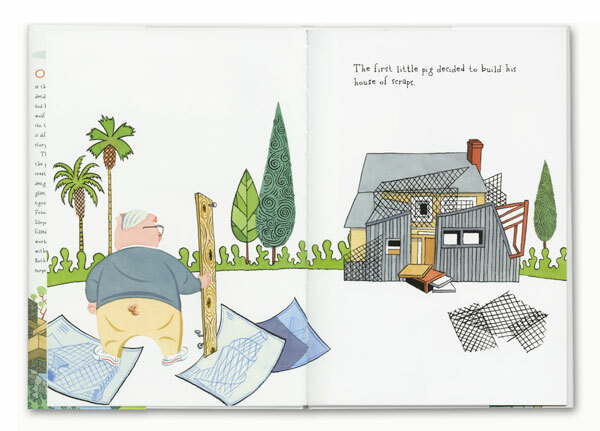 A book review by Scott Carlson of a version of the Three Little Pigs using three of the most famous architects - starchitects. I thought the illustrator Steven Guarnaccia's version of the popular children's fairy tale was delightfully smart. 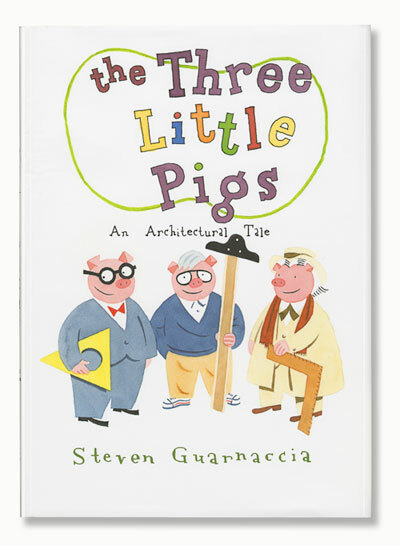 This isn’t exactly college-level reading, but anyone who has dealt with a starchitecture project might appreciate this: We recently received a version of The Three Little Pigs, but the pigs look quite a bit like some of the most famous architects of the past 100 years—Frank Gehry, Philip Johnson, and Frank Lloyd Wright. 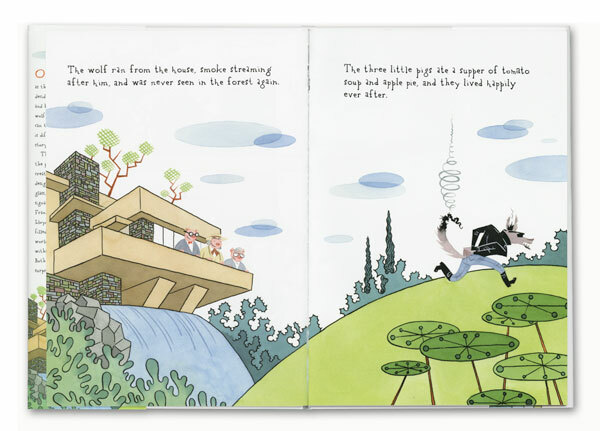 “But the third little pig decided to build his house of stone and concrete,” the book says, showing the pig with blueprints for Fallingwater. From here, the story proceeds like a conventional three-pigs tale—on behalf of his brothers, the third pig plays various tricks on the wolf, until he finally lures him down the chimney. (No fiery death here; the scorched wolf runs for his GTV 1200 and is never seen again.) Fun story, but there are a couple of problems with this retelling: First of all, Frank Lloyd Wright was a famously self-absorbed man and a hypercompetitive architect. Yet, the Wright pig risks his curly tail to help his architect-brothers. Second, anyone who follows architecture knows that Wright’s buildings have had their problems—Fallingwater, in particular. Maybe the wolf should have just waited around for the house to fall down on its own. A delightful book - perhaps a must-have in an architect's library.